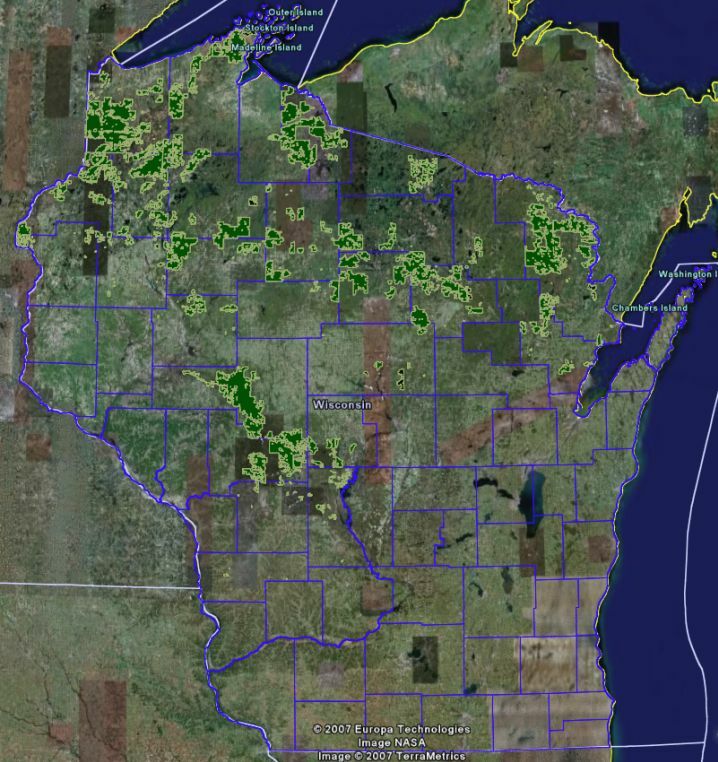 Get instant access to our digital maps of ALL 2.36 Million acres of Wisconsin County Forest Lands. FreeHuntingLand.com is the only place you can see all the county forest land in one place, overlayed on satellite imagery with GPS location. Includes DNR Managed lands, National Forest land, and Forest Crop Land lands too! Get instant access now! 1. Open to public hunting. Tree stand rules vary by county. 2. Wisconsin County Forests are also open for camping, hiking, and bird watching. 3. With the exception of a few sensitive areas, there are no posted lands in Wisconsin County Forests. 4. There are more than 1200 campsites and thousands of miles of hiking, skiing, and snowmobile trails. 5. Public access to hundreds of lakes and streams is available. 6. Read more about Wisconsin County Forest Hunting Land at WCFA site. 7. 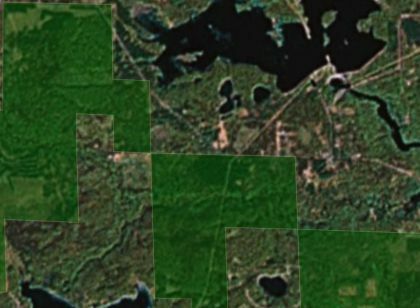 The picture on the right is a close up of approximately 1520 acres of Marinette County Forest.